After about five years of anime-watching, I can confidently say that shows exhibiting excellence in writing don’t actually come around all that often. While most of the series I watch are certainly entertaining they lack that extra quality that makes me sit back afterwards and marvel at just how good a story I have had the privilege of viewing. They’re not common, but the most recent of example for me has been Golden Time. Beyond being simply entertaining, because it was definitely that, it was a joy to watch for its pacing, the flow of its story and the way it caught me up and took me along for the ride. 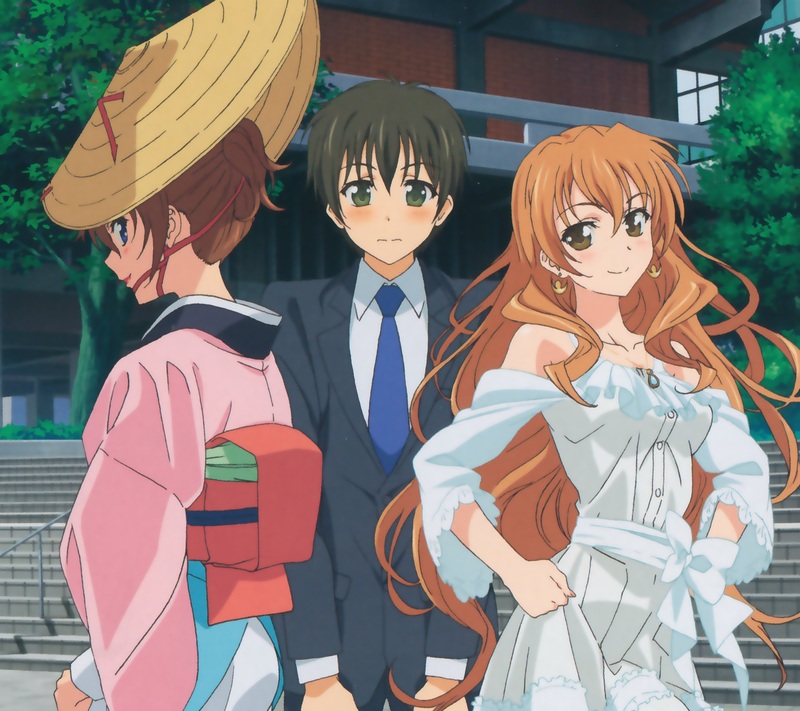 Though many anime focus on the lives of society’s younger members, few manage to tackle realistic drama, romance and comedy with Golden Time’s maturity and style. College (or university, as some may call it) represents a new start for many people the world over, though at the moment Tada Banri isn’t entirely sure what he’s signed up for. Making an awesome new friend has mostly made up for missing his entrance ceremony, but who’s that stunning beauty walking straight toward them? Why is Mitsuo’s face going pale? And why is that girl slapping him with a bouquet of roses?! 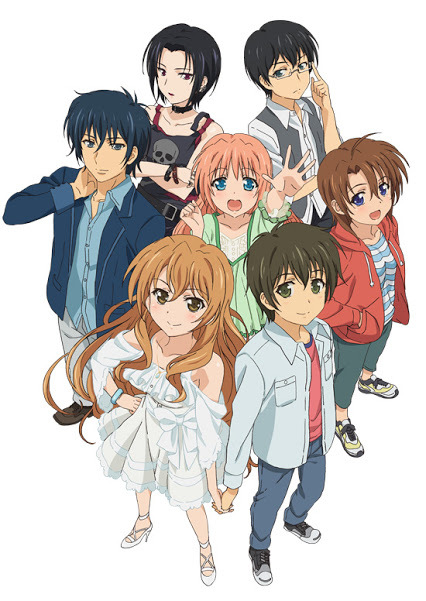 I’ll admit, among the massive amount of recycled comedy and romance tropes infesting the animated world I sometimes forget that anything else exists, so when a metaphorical diamond in the rough like Golden Time shows up I tend to get a little excited. Without fail every night I spent watching it left me wanting more, it was just that good. Every single episode adds something to the experience, and they mix their chosen genres beautifully. When things are getting a little too heavy, the show’s own unique brand of humor shows up to make you burst out laughing. When the events on the screen have just started making you feel all warm and fuzzy inside, that one tragedy you’ve been dreading playing out rears its ugly head. And, of course, it’s all tied together with romance. The thing that really gets me about Golden Time is the maturity with which it explores the feelings of the characters it portrays and the events they experience. It’s incredibly satisfying to finally see a romantic relationship not only play out but make complete sense while it does so. The characters themselves develop in relation to one another, logically, as opposed to the forced development we see far too often, and react to the twist (which I’m desperately trying not to talk about too much) in entirely believable ways. To top it all off, I like and miss every single one of them! Honestly, I may be rambling here but I can’t say enough good stuff about pretty much every aspect of the series. Well…almost. I can’t go into very much detail about this but there is one plot device that kind of conflicts with the image I’ve been trying to create for you. It doesn’t show up often but it’s used to explain a few developments that it isn’t really needed for and is probably the one component of Golden Time that doesn’t make all that much sense. 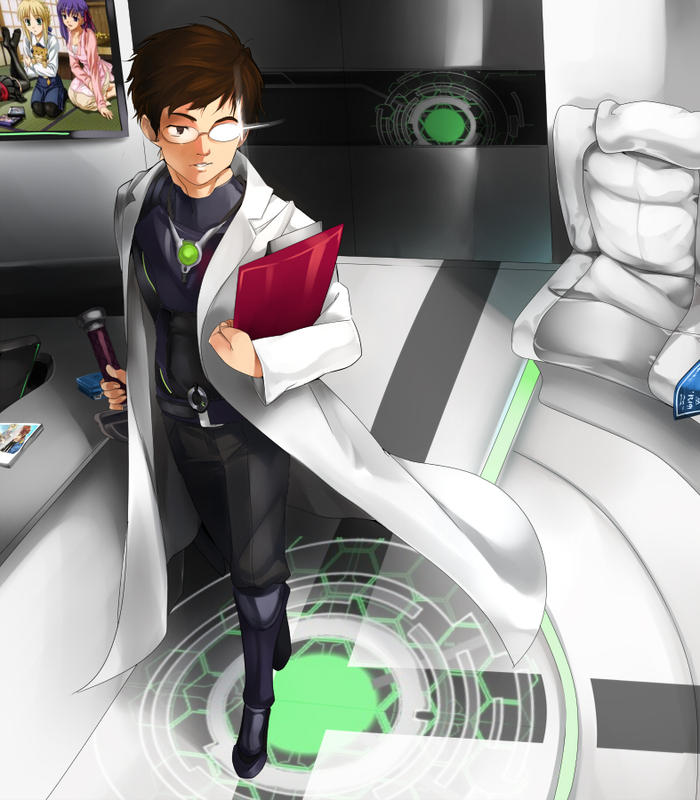 I personally didn’t take much issue with it but a discussion with Kai from Deluscar made me realize how out of place it was, and it’s worth mentioning because of its potential to affect your viewing experience. Regardless, I’m sure you’ll realize what I’m talking about when you get around to watching Golden Time. Because you are going to watch it, right? I also have to take a couple of points off for J.C. Staff’s art. It’s commonplace for character art to deteriorate the farther away from them the camera gets, right? Surprisingly, Golden Time is one of the few instances where I’ve actually noticed the difference amidst all the enjoyment I gained from the show. That’s a fairly isolated complaint, however, because the closer shots are by far predominant and they look great, which is partially owed to the fact that the character designs complement the realistic feeling given by the story while still being attractive in themselves. On the audial side of things I felt that the background tracks in general did a good job of setting the mood for their scenes without otherwise standing out. Finally, this is the only series I have seen to date with an ending sequence that was actually detrimental to the overall production; the second season’s ED bursts onto screen abruptly at the end of each episode with vibrant colors and cheerful music…which don’t mesh all that well with drama, you know? 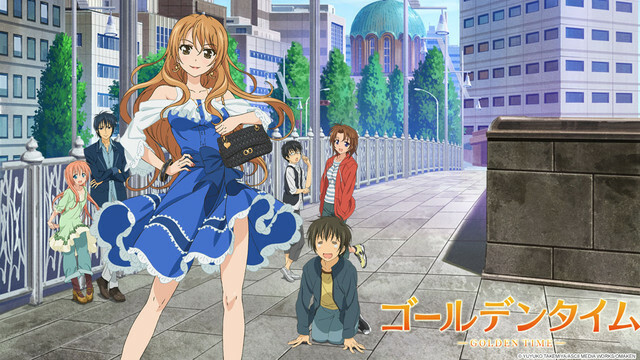 Summary – With the potential to be The Geek Clinic’s favorite anime for 2015 (y’know, back when I actually viewed it), Golden Time was an absolute blast to watch. The events it portrays cover romance, comedy and drama in a manner that is almost foreign to the medium and deliver a fantastic experience that you won’t soon forget, and the believability and realism of the characters and their relationships are what make it all stand out. Unfortunately, it’s not perfect, but that doesn’t stop it from making “Must Watch” status on The Geek Clinic’s Anime Recommendations list. 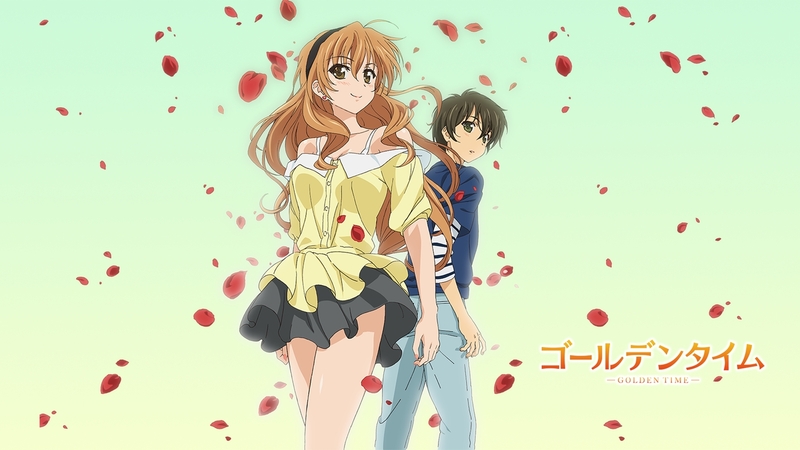 This entry was posted in Anime Reviews, Reviews and tagged Anime, golden time, J.C.Staff, Review. Bookmark the permalink. Thus ended my brief love affair romance anime. Good work Golden Time, you broke it. Of course, the largest possible grain of salt needs to be taken with your opinions of romance-heavy anime, since we already all know you’re not a fan. Of course. Although I haven’t watch all of it, what was the episode where you thought to yourself “Oh, this is good.” or was it the hole thing? It’s been a while, but I know it was pretty early on so I can’t recommend for you to go back and keep pushing through it. Gotta love this one, it stands on its own realm so you cant compare this with Sakurasou and Toradora. I agree that although they belong to similar genres the three are very different shows. I prefer Golden Time over the others, though. Do you mean the overall ending? It probably wasn’t as feels heavy as it could have been, so I see what you mean, though I thought it was fitting and satisfying. It could have been better, the LN did a better job wrapping up. I haven’t read it. What’s the quality of the translation like? And how much does the anime change for it? I’ve heard a couple of people complain about that aspect so you’re totally not alone. For me it didn’t have a massive impact on my enjoyment and was simply something that was unnecessary. Maybe it resonated with me personally to deserve that higher score. I thought the relationship dynamics had more depth to them than most of the anime i’ve seen lately. I think I know what spooky plot device you are talking about. It was an unfortunate decision, really. I wonder whether it was done any differently in the original light novel.